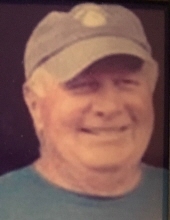 JEFFERSON - Roger Alan Kenison, 76, of 833 Meadows Road, was called home to our Lord and Savior in the early hours of Saturday, February 2nd, 2019. He passed away peacefully at The Jack Byrne Center for Palliative and Hospice Care with his family by his side. Roger was the youngest son of the late Phyllis (Rogers) Kenison and the late Burton Kenison. Roger graduated from Berlin High School in 1961. On April 22nd, 1962, he married his high school sweetheart, Sandra (Burlock) Kenison, and the two spent the next 56 years together building a life and family in Jefferson. Roger enlisted in the United States Coastguard from July 1962-July 1968, where he served as an Engineman Third Class. After his service, Roger worked a number of skilled trade jobs, including millwright, carpentry, welding, plumbing, electrician, and iron worker. He was the foreman for the State of New Hampshire bridge maintenance division until his retirement, at which time he started his own business renting and managing storage units in Jefferson. Roger is survived by his wife, Sandy, and their four children; Daniel Kenison and Angela (Brooks) Kenison, Stephanie (Kenison) Huntington and Michael Huntington, Michael Kenison and Jennifer (Huckins) Kenison, and Paul Kenison, and their families, as well as his eldest brother John Kenison, D.D.S., and his wife, Marilyn. Roger is predeceased by his mother and father, and a brother Edward Kenison. Roger enjoyed spending time with his 9 grandchildren and 3 great-grandchildren, especially during the holidays. Roger will be remembered as a master story-teller, often keeping those around him in tears of laughter with his quick wit and clever one-liners. Roger enjoyed the simple things, like yard work, home-cooked meals, and watching football on Sundays with Sandy. Although he will be missed on this earth, his family takes comfort that he is with his God, whom he remained devoted to all his life. Calling hours will take place Saturday, February 9th, 2019 from 11am-1pm at the Bailey Funeral Home, followed by a graveside service at Forest Vale Cemetery in Jefferson. Reverend Dean A. Stiles, pastor of the Jefferson Christian Church will officiate. Donations in Roger’s memory may be made to the Jack Byrne Center for Palliative and Hospice Care at Dartmouth-Hitchcock. "Email Address" would like to share the life celebration of Roger Alan Kenison. Click on the "link" to go to share a favorite memory or leave a condolence message for the family.